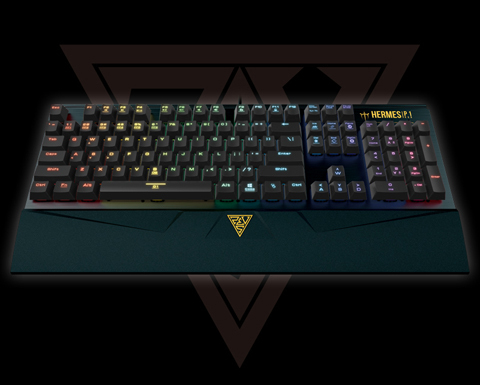 Clavier Mécanique Gaming Gamdias Hermes P1 RGB C'est simple, nous battons tous les prix!!!!! Easy to set up 2 macro keys, 6 profile options with 32bit micro-processor and built-in memory. N-Key Rollover, all keys are ready for your gameplay. 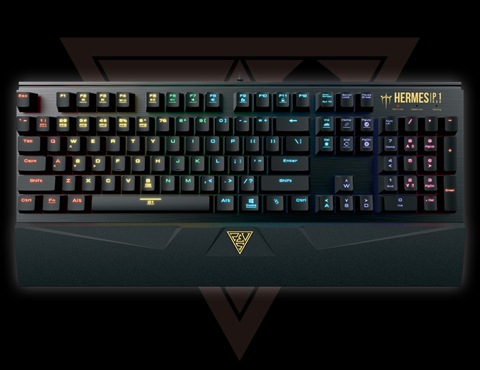 Designed from the ground up for hard-core gaming, the GAMDIAS HERMES P1 RGB Mechanical Gaming Keyboard has all the appealing elements the gaming enthusiasts value most – including GAMDIAS certified mechanical switches with 50 million key strokes, 100% anti-ghosting with N-Key rollover, macro keys, easy-to-access multimedia controls, etc. There is no doubt that it will give you a solid edge over your enemies. 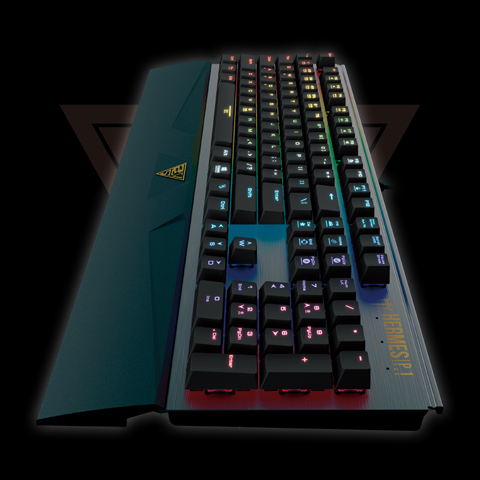 The brilliant RGB LED backlighting with 16.8 million customizable color options makes it the perfect LAN party keyboard. The stunning RGB LED backlighting improves visibility in low-light conditions, and creates an attractive atmosphere during the game. By using the free HERA software, you can create a beautiful, personalized look that matches your style. 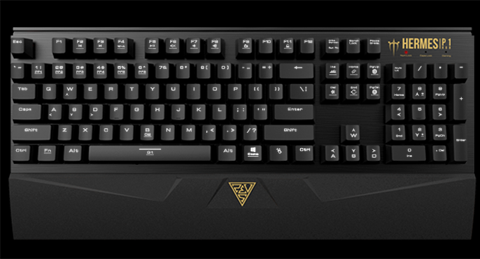 Plus, this gaming keyboard features a flawless aluminum faceplate with cutting-edge design, and is built with comfort in mind with ergonomic designs, such as quick-attach wrist rest, and unique contoured keycaps. Stand out of a crowd at a LAN party with the beautiful 16.8 million color enabled Hermes P1 RGB. Brilliant RGB LED backlighting immerses you in the game with virtually unlimited adjustability. And by tapping into the free HERA software, you can set up your RGB lighting with custom lighting maps for all your games and beautiful animations for when you’re not playing. Thanks to the GAMDIAS certified blue mechanical switches with a long-lasting 50 million actuation lifecycle, you’ll have enough keystrokes for a life time. With a notable 'click' when inputting keys, you'll become accustomed to just how much pressure you need to put forth to activate a key. A 32bit micro-processor, two macro keys, six profile options, and much more give you the option to mold your Hermes P1 RGB into any kind of tool for any kind of situation. Using Hera will allow for total control over your device. Assign macros, swap WASD/arrow keys, lock windows key, and so much more. Easy-access multimedia controls allow you to make on-the-fly audio adjustments without interrupting your game. And when you’re not competing, they provide an easy way to play, pause, and skip audio tracks. On-the-left FN function key can easily perform your recorded macro by G1/G2 combination. Solving puzzles, fighting, quick-time events, no situation will cause keys to become unresponsive with the N-Key Rollover. Program your devices to customize your gaming experience. The unique contoured keycaps enable maximum grip and enhanced feel, ideal for gaming. Ergonomic wrist rest provides comfort for prolonged gaming. It can be easily detached from the keyboard when not in use. A tough aluminum back plate supports the Hermes P1 RGB, allowing for frequent movement. 1.46" x 17.32" x 6.69"
A 32bit micro-processor, 2 macro keys, 6 profile options, and much more give you the option to mold your Hermes P1 into any kind of tool for any kind of situation. "Rough" keys allow for easier control of your key pressing so that no miss-clicks ruin a gaming situation as well as a quick-attach wrist rest. The keys are also backed by a massive 50 million actuation lifecycle. 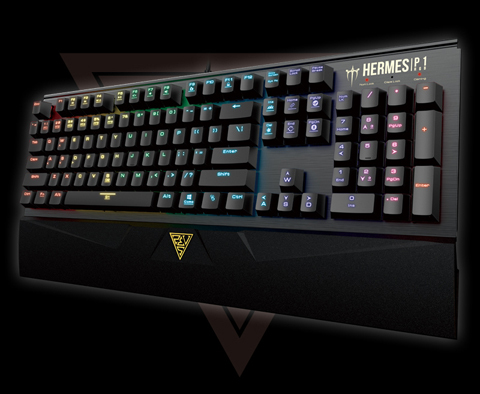 Stand out of a crowd at a LAN party with the beautiful 16.8 million color enabled Hermes P1. Top it off with numerous, customizable lighting effects and you truly have a unique keyboard. Solving puzzles, fighting, quick-time events, no situation will cause keys to become unresponsive with our N-Key Rollover. A tough aluminum back plate supports the Hermes P1 allows for frequent movement making it the perfect LAN party keyboard. Using Hera will allow for total control over your device. Assign macros, swap WASD / arrow keys, lock windows key, and so much more.